Measuring can be performed in many ways. 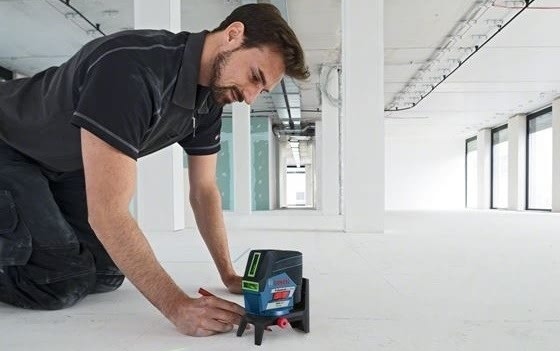 For extremely accurate measuring and levelling, however, look no further than our new Bosch cross line lasers. The GCL2-50 CG and GLL3-80 CG line lasers offer plenty of exciting features. We take a look at them in depth below, starting with applications you can use them for. Installers can be assured they are getting top quality items designed to perform those tasks to a high standard. Equally, so can DIY hobbyists looking for tools ideal for aligning objects. The main selling point of the green line lasers is that they are brighter than their red alternatives. The GLL3-80 CG’s bright green laser lines offer up to four times better visibility than red lines. Working in bright working environments, such as near to a window, is when this becomes especially effective. An additional bonus of this line laser is that its 3 x 360° lines allow simultaneous horizontal and vertical levelling applications for highly efficient work. Furthermore, the GCL2-50 CG features bright green horizontal and vertical laser lines. These combine perfectly with the two centred plumb points to offer optimal visibility. 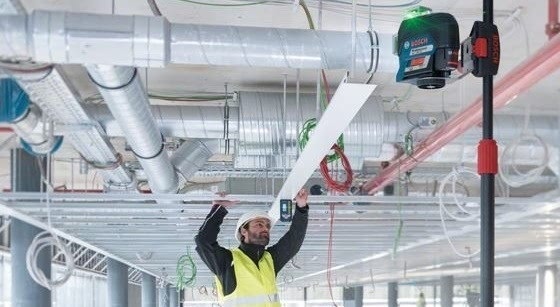 Embracing the benefits that come with Bluetooth functionality, these are the first line lasers worldwide which can be controlled using an app and Bluetooth interface. 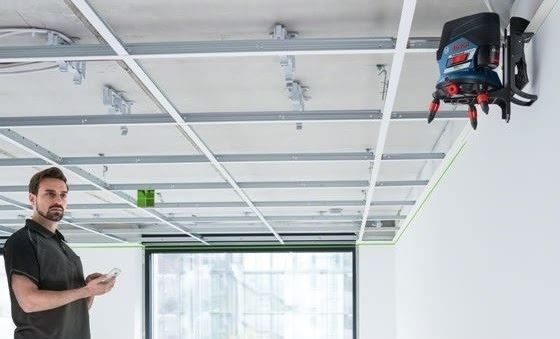 Tradespeople can, for example, switch the laser line on and off individually using the Bosch Levelling Remote App − without touching the tool and altering settings accidentally when handling the device. Additionally, operating via app makes set up and work in hard to reach places easier. The brightness of the laser lines can also be conveniently adjusted by the user for better visibility or to save battery power. In conclusion, the aforementioned Bosch cross line lasers are great additions to our range of measuring tools. They provide precision and accuracy in abundance. Moreover, their ability to implement Bluetooth increases efficiency and, therefore, productivity. Give our lasers a go for yourself. Simply visit one of our showrooms for a live demonstration. Alternatively, you can buy the GCL2-50 CG here and the GLL3-80 here. Order before 17.30 for next working day delivery.